I am am getting so excited about autumn. Now I know everyone loves summer (except me) and they want the sunshine (except me) and the long light nights (except me) but autumn is my favourite. It’s not too cold, not too hot and my make up doesn’t melt. Seriously, you can’t even wear make up in NYC right now. It’s heartbreaking. But it’s going to be OK. Soon I’ll be able to launch into all of the wonderful Fall collections and smother my porcelain visage with all the slap Sephora has to offer. 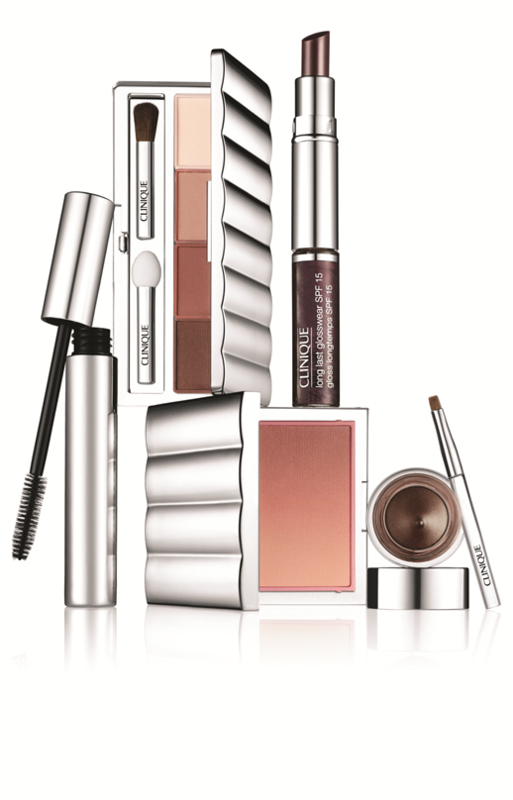 For starters, I’ll be playing with Clinique’s awesome new collection, The New Black. Inspired by their classic Black Honey gloss, the collection is So Pretty. I was lucky enough to get a sneak peek at this and have been all over the double ended lipgloss/almost lipstick – the only thing you can wear without fear of a meltdown right now – and I can’t wait to start playing with the eye palette, perfect for a pretty smokey eye, on any eye colour but I think especially on blue eyes.